We offer a full line of name brand heating equipment, heating products, appliance parts, and boiler-room specialties. One-stop-shopping for all of your heating products, parts and service needs. 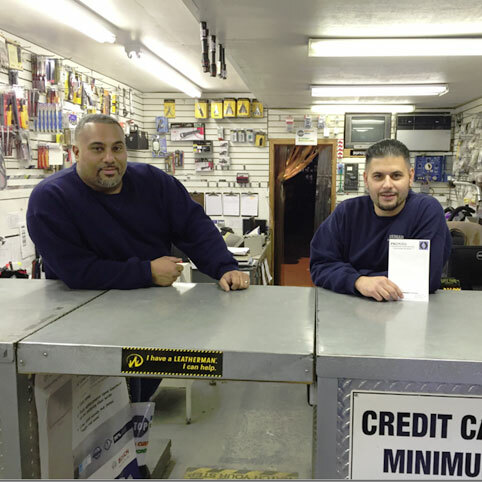 For over 25 years, PRONTO has been providing our customers in the greater New York City metropolitan area with personalized and professional service. We offer technical advice for commercial and residential boilers, burner, and water heaters, and we can engineer all of your energy needs. We design CAD layouts, control panel building, and can help you to calculate projected energy savings. In addition to being licensed for CO testing and being a Venting Specialist (AL429C), PRONTO is also an authorized Honeywell Flame Safeguard distributor, and we can bench test for all flame safeguards relays while you wait. Our qualified staff members have experience in energy management, system optimization and safety matters, and we can provide customized assistance, with both on-site consultation and the supervision of start-up services. Throughout the year, PRONTO hosts numerous Counter Days, where our customers can come ‘meet and greet’ manufacturers’ representatives, learn about the latest new products, and watch and/or request personal product demonstrations. We also organize and provide our clients with the opportunity to attend various free PRONTO training classes. Learn More About Pronto Training Classes. We at PRONTO recognize that federal business regulations and local building codes are constantly changing and evolving, and so we are proud to showcase and offer an increasing number of high efficiency heating equipment and space-saving products. We appreciate our customers’ ongoing interest in improved energy savings and cleaner technology, and understand your concerns about the costs involved with older, less effective heating systems and ever-rising fuel prices. Thus, we are happy to respond to any questions or ideas that you might have as you make the necessary plans to build, renovate or retrofit your home or company, residential or commercial properties. You can call us or fax us your quote request at any time. Remember, PRONTO is one-stop-shopping for all of your heating products, parts and service needs. Let us assist you today!